Shaping Davos is a conversation that features local solutions to global issues. 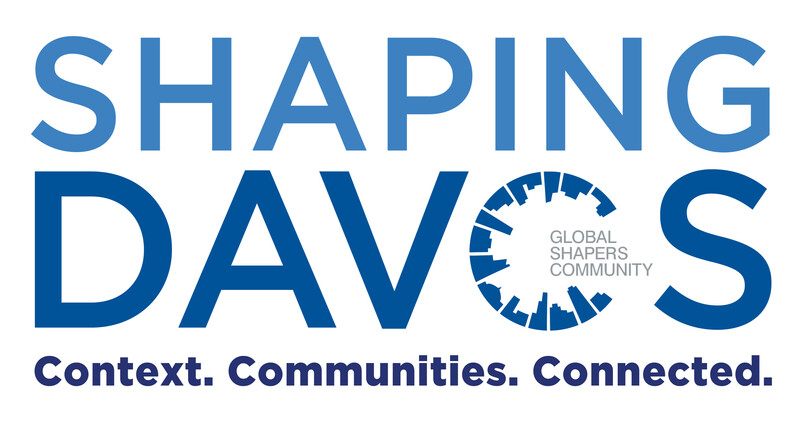 #shapingdavos brings the world to Davos and Davos to the world through a series of live events hosted by the Global Shapers Community using two-way live streaming. In 2017 Shaping Davos connects cities from around the world to discuss 4 topics related to the theme of the World Economic Forum’s Annual Meeting 2017 in Davos-Klosters. Community-wide local activities provide viewers with unprecedented access to insights from cities and issues in every major region of the world. The local activities will also ensure that the local community has the opportunity to move the issue forward locally. Find out more about the local activities in 21 cities here and follow the conversation on social media using the hashtag #shapingdavos. The session is moderated with Beth Simone Noveck, Yale University, Tanvi Sundriyal live from Bhopal, Kabelo Moyo live from Gaborone, Alexander Roussakov live from Yaroslavl, Achraf Aouadi live from Tunis. Find out more here.